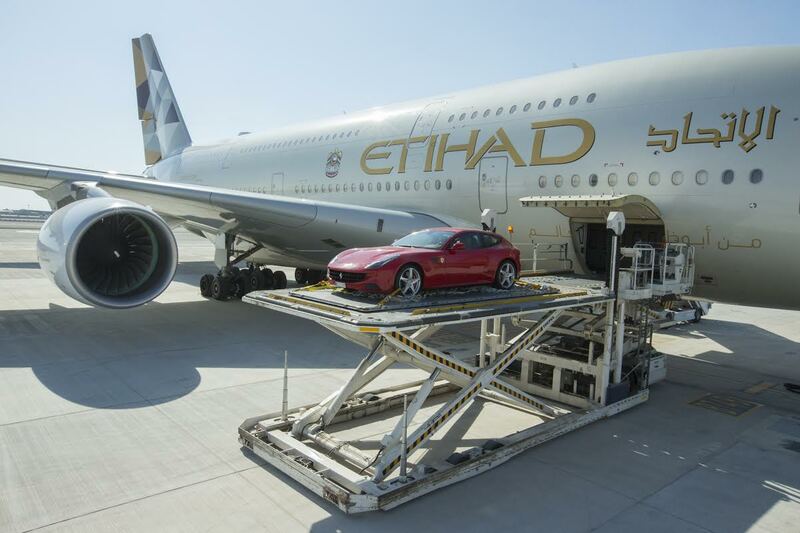 Etihad Cargo, the freight division of Etihad Airways, has launched a new travel offer for guests who want to travel with their luxury car over the summer period. “We have several years of experience in transporting vehicles for manufacturers to luxury car markets around the world and will aim to provide a first class service for those clients who are looking to take their vehicles with them to Europe during the summer,” said David Kerr, Senior Vice President of Etihad Cargo. Additionally, drivers get up to 20 per cent off air cargo rates and their seat when they book in First or Business Class, the cargo firm said in a media statement. The special offer is running from now until the September 30, 2016, it said. The cargo section for Etihad is also offering additional services this year, arranging hotel accommodation and having the car delivered straight to the driver’s doorstep. “Through our use of a mixed fleet of aircraft, we have a range of options that enable us to transport cars in the hold including some of the new additions to our fleet such as the Airbus 380s,” said Kerr. Etihad Cargo added the number of cars transported has been steadily rising over the last few years, noting it carried hundreds of automobiles during 2015. With additional aircraft and supporting services being added to the fleet this year, the cargo team is aiming to increase those numbers during 2016. The category of cars being transported has included F1 cars, Super Sport cars as well as luxury car brands such as Ferrari, Porsche and Lamborghini.